The 36-year-old man who was shot at a restaurant near Buckland Hills in Manchester Saturday has died and police are searching for a man and a woman who they said should be considered armed and dangerous. The 36-year-old father who was shot at a restaurant near Buckland Hills in Manchester on Saturday has died. The victim, Norris Jackson, of Hartford, was shot at Bonchon Restaurant on Pleasant Valley Road and was transported to Hartford Hospital in critical condition before he died on Sunday night, according to Manchester Police. On Monday, police said they are searching for a man and a woman linked to the shooting and should be considered armed and dangerous. The victim's mother, Barbara Turner, said the two people worked with her son. "I’m not a hater, my son didn’t hate, but they need to turn themselves in," Turner told NBC Connecticut about the two suspects in her son’s shooting. Turner said she has donated her son's organs after making the gut-wrenching decision to take him off life support late New Year’s Eve. He was the father of four sons and three daughters and he was like a stepfather to his girlfriend's three sons, she said. "He was awesome, just awesome. A great son, father, uncle, a wonderful person," Turner said. 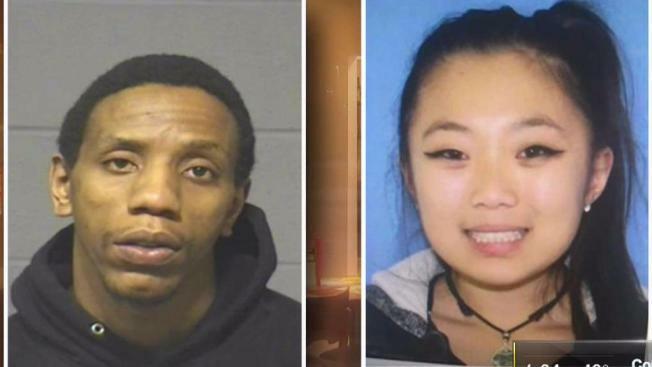 Officers are searching for 28-year-old James Goolsby and 23-year-old Leanne Robitaille, both of Manchester, in connection with the shooting and said both should be considered armed and dangerous. Anyone with information on their whereabouts should call Manchester police at (860) 645-5561 and anyone who spots the suspects should contact local law enforcement immediately. Police continue to investigate what led up to the shooting. "We at Bonchon Franchise are deeply saddened by the tragic shooting in Manchester, CT today, and are deeply concerned about the family and friends who are suffering. Our thoughts and prayers are with the victim and their family as we also respect their privacy during this ordeal."